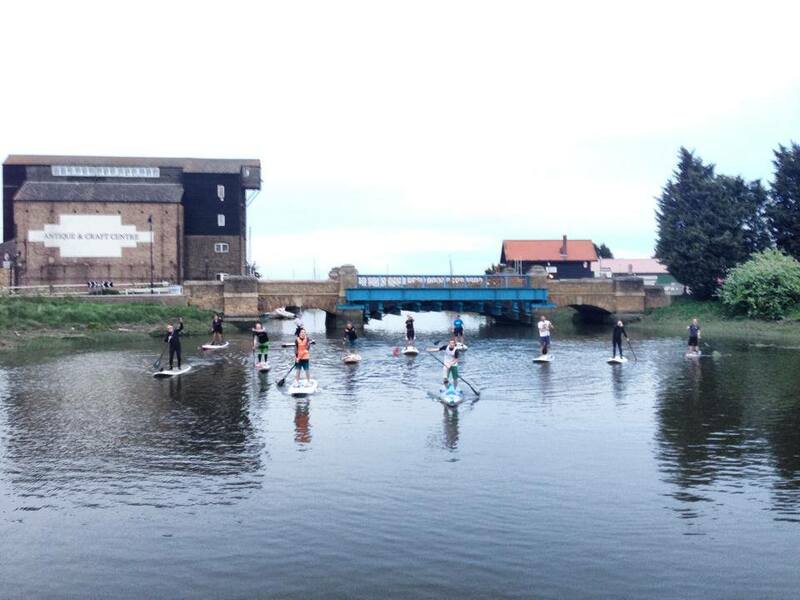 Another great turn-out to this week’s SUP Club paddle from Hullbridge to Battlesbridge. 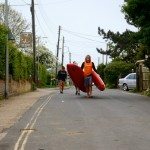 The first 4km to Battlesbridge was with the rising tide and a slight headwind, but the whole group managed it in good time. 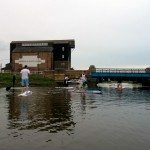 After posing for a few photos under the bridge in Battlesbridge we turned back and so did the tide. 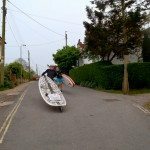 So the paddle back was with the tide and the wind so was a really relaxing SUP. 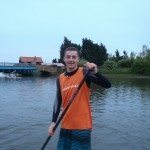 Everyone did really well, even those who have paddled only a handful of times managed the 8km with ease. 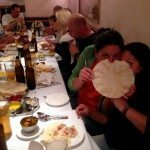 Once back in Hullbridge we all got ready for the main event, the curry! 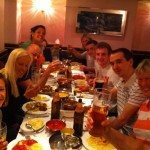 We had all ordered before setting off for the paddle so the food was ready as soon as we sat down, and every enjoyed a well deserved feast. 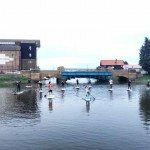 For those wanted to join us on our weekly SUP sessions, there is no joining fee and newcomers are always welcome. 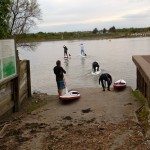 You dont even need to own a stand-up paddleboard: we hire out boards for £25 for the session, all we really ask is that you have done some stand-up paddleboarding before. 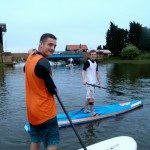 If you haven’t paddleboarded before, head over to our SUP Lessons page and get involved.